We are live again after about 24 hours of blogger being down. I lost Thursday'a post, which isn't the end of the world. Those of you who read it will get the pun. In any case, lets get on to this week's giveaway. This week's giveaway is not a recent title, but it is one well worth having. 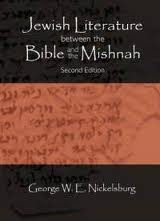 Anyone interested in the non-canonical literature that was part of the Jewish and Christian world during and after the second-temple period needs to have read George W. E. Nickelsburg's Jewish Literature between the Bible and the Mishnah (Fortress, 2005). Here is the blurb. George W. E. Nickelsburg is Emeritus Professor of Religion at the University of Iowa, where he taught for more than three decades. His many works include 1 Enoch 1 (Hermeneia, 2001) and Jewish Literature between the Bible and the Mishnah (1981), both from Fortress Press. And since I feel so strongly about the need for students of Early Judaism and Christianity to be familiar with this literature, I am giving away the second edition of Nickelsburg's book, which also comes with a handy CD. So blog fans, leave your name and I will choose a winner on Sunday, May 15th. But please, please, please remember to check back and see if you win. I am going to initiate a 5 day grace period for winners. If those selected do not contact me in that period I will pick another winner. You have probably been on a deserted island or under a rock if you have NOT heard about Harold Camping's prediction that the rapture will occur on May 21st, 2011. Camping is the founder and manager of the Family Radio. Since making his latest prediction, he predicted the end in 1994, Camping and others have been using their resources to get the word out. Billboards have been purchased to declare the end is near and some have piled in vans to travel around and warn others. Camping is predicting that the end will happen at 6:00 pm on Saturday, May 21st. I assume he means Eastern Standard Time in the USA. New York Magazine has an interview with Camping in which they ask him a dozen questions. I have pasted below the ones where he details what he thinks will happen and why he is not worried that he is wrong. How certain are you that world is going to end on May 21 — do you have any doubts? God has given sooo much information in the Bible about this, and so many proofs, and so many signs, that we know it is absolutely going to happen without any question at all. There’s nothing in the Bible that God has ever prophesied — there’s many things that he prophesied would happen and they always have happened — but there’s nothing in the Bible that holds a candle to the amount of information to this tremendous truth of the end of the world. I would be absolutely in rebellion against God if I thought anything other than it is absolutely going to happen without any question. But you were wrong the first time you predicted that the end of the world would take place in September of 1994. So you must think, in the back of your mind, that maybe you can’t actually predict when the end of the world will be. In 1992, two years earlier than that, I had already begun to see that there was a good likelihood that 2011 would be the end, but at that time when my research in the Bible was not nearly complete — there were whole books of the Bible that I had not gone through yet very carefully — I thought that at that time that there was a possibility it might be 1994, and so I wrote a book, 1994?, but I put a big question mark after it, and in the book it also indicated that 2011 was also a good possibility. And so it was just a preliminary study that I've been able to complete during the last fifteen years. Describe to me what exactly you expect to happen on May 21. I know reporters don’t like to hear from the Bible, but the Bible has every word in the original language — it was written by God. Incidentally, no churches believe that at all, they don’t hold the Bible in the high respect that it ought to be. But every word was written right from the lips of God, and God declares: [Camping reads various passages from the Book of Revelation describing the Rapture.] In other words, when we get to May 21 on the calendar in any city or country in the world, and the clock says about — this is based on other verses in the Bible — when the clock says about 6 p.m., there’s going to be this tremendous earthquake that’s going to make the last earthquake in Japan seem like nothing in comparison. And the whole world will be alerted that Judgment Day has begun. And then it will follow the sun around for 24 hours. As each area of the world gets to that point of 6 p.m. on May 21, then it will happen there, and until it happens, the rest of the world will be standing far off and witnessing the horrible thing that is happening. It’s going to happen. It’s going to happen. I don’t even think about those kind of issues. The Bible is not — God is not playing games. I don’t even want to think about that question at all.It is going to happen. This would be somewhat humorous if it wasn't so sad. I fear that there will be a lot of pieces to be picked up around the country at 6:15 pm on May 21st. Patrick Shreiner is a blogger and a recent graduate from a seminary. Patrick earned his MDiv from Southern Baptist Theological Seminary in Louisville, Kentucky. Recently he has been providing unsolicited advice about being in seminary for those who are willing to listen. As a professor I give out a lot of advice to students, but sometimes it is better to hear from another student than a professor. Below are two of the points that Patrick has posted thus far. I will more as he posts. In the mean time, do stop by Patrick’s blog Ad Fontes and drop him a note. First, take the hardest classes you can find. I am convinced that you can go walk out of Seminary with a completely different education than your classmate sitting right next to you. I realize that hard does not necessarily translate into learning, however generally the teachers who push you, you will learn from the most. Therefore, when you are in the halls, and you hear someone say, “Don’t take blankety blank, it is way too much work,” mark that on your list of classes you must have. Get the most out of your education. Don’t coast. It would be like going to an amusement park and getting on the Ferris Wheel while the line is wide open to the roller coaster Magnum XL-200. This is a particular time in life where you get to sit under scholars who are there to help you lay the foundation for the rest of your life. So don’t take it easy on yourself. After the ride is over, you will be look back on those who are still on the Ferris Wheel and be glad you stepped out of line. Many are going to disagree with me on this one, but I am not here to tickle your ears. This might be the main reason to come to Seminary. Learning the languages (Greek and Hebrew) are the hardest part of Seminary. I have actually enjoyed some of the other classes more than language classes, however if a student is motivated enough, they can learn The Systematics, NT Theology, Church History, and Ethics on their own. I am not saying the other classes are worthless, I have got a lot of out all my classes. What I am saying is that if you walk out of Seminary without a working knowledge of the languages you will never learn them. Come to Seminary and take the language courses. You can read all those other books later. But you won’t pick up your NA27 or Biblia Hebraica if you are overwhelmed every time you look at them. 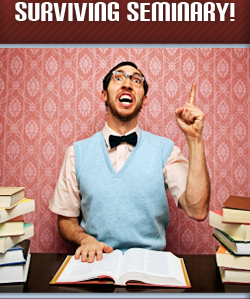 Third, take some professors who will teach you the art of exegesis, and others who will teach you the science. All of us tend one way or the other. If you are all about the art of exegesis find the professor who teaches it as a science. We all need both, and if you only gravitate towards what you like, then you will be unbalanced in your interpretation. Or at least you won’t be able to interact with those who argue from the other perspective. Here is a good way to tell which one you gravitate towards. Are you a math person or a literature person? Math people tend to see it as a science, and literature people as an art. Be careful not to spurn each other, both are needed and both are useful. The History Channel recently aired a program that was billed as a search for the lost 40 days between Jesus' resurrection and ascension. The gist of the program is that the New Testament is relatively silent about what Jesus did for the 40 days and the History Channel attempts to reconstruct what happened. In reality, this program is a weaving of sound bites from pastors and scholars who are either repeating what the Bible says or information that is already well known. 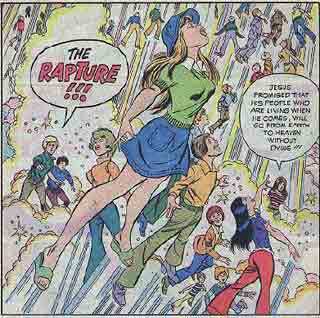 What makes the program bizarre is the attempt by a team to use computer graphics to reveal "the six key appearances" of the resurrected Jesus. Even more strange is the use of the Shroud of Turin to generate what is being claimed as an authentic picture of what Jesus looked like. Using the image taken from the shroud, the "six Key appearances" are then presented as the first chance to see what happened during the "lost 40 days of Jesus." First, the idea of there being a 40 day period between Jesus' resurrection and ascension is found in only only verse in the New Testament. Acts 1:3 provides a passing statement that Jesus appeared to his followers over the course of 40 days. This time table is not provided in any of the gospels and is never mentioned by Paul. In fact, The ascension is not always a part of the gospel tradition. For instance, it is mentioned in both books attributed to Luke (Acts 1:3 and Luke 24:50-53). Matthew, however, ends with Jesus standing on a hill in Galilee while Mark (shorter) ends with no appearances of Jesus. In John Jesus tells Mary that he is ascending to his father, but there is no description of when and how that happened. Thus, although there is a tradition for the ascension of Jesus, the evidence is incomplete and uneven. Moreover, the 40 day time period is not detailed and may have been more symbolic than historical. Second, the program assumes that the Shroud of Turn is authentic. The problem, of course, is that the carbon dating of the shroud indicates that is from the 12th century, not the first. And while there are still those who claim that it is authentic, it cannot be proven. Thus it is irresponsible to admit to all the problems with dating the shroud and then move on with the story by simply dismissing the problems without any explanation why the shroud can or should be used to reconstruct Jesus' lost 40 days. Third , the program weaves together information about and/or from the non-canonical Gospels of Thomas, Mary, etc. These documents are presented in such a way, like the shroud, that they constitute reliable information or evidence for reconstructing the lost 40 days. The use of this material for reconstructing the historical Jesus and early Christianity is controversial enough. To now suggest that it helps fill in the gap of information for the "lost 40 days" is preposterous. Finally, in the end what the show reveals is that the 40 lost days of Jesus were never lost since all 6 of the "6 key appearances" are gleaned by the program from the New Testament. Consequently, nothing new was really discovered. In reality this program is not about Jesus' lost 40 days. It is about how Ray Downing and his team from Studio MacBeth have generated a 3D animation of the face on the Shroud of Turin which is in turn used in 6 short, illustrated accounts of Jesus' post-resurrection appearances in the New Testament. But since simply airing these six pieces would not fill a program, the producers decided to throw in a bunch of interviews, some intrigue and conspiracy which is billed as the search Jesus' lost 40 days. Below are the episodes as uploaded to Youtube. Let me know what you think. This is not a topic I normally would blog about, but Stuart James over at EChurch blog drew my attention to it. Apparently there are alternative "Christian" social networking sites. I had never heard of such a thing nor can I guess why we would want one. There are three that Stuart points out. The first is called MyBlab. Already I don't like it and I have only seen the name, which, by the way, means "Be Linked As Believers." For lack of a better description I can only describe it as a cheap ripoff of facebook. Many of the people that are on MyBlab seem to be aspiring artists of some type. The second is "Christian Chirp" which is a Christian form of Twitter where one can "chirp" to your friends. This is even more of a blatant ripoff than MyBlab. At least the people at MyBlab had the good sense to come up with a name, no matter how poor, that did not sound like so close to the original. The third is GodTube. This is a site where you can watch worship and preaching videos all day long, one after another. I am now convinced that there is a hell. My question (besides why would anyone want to make a cheap version of the real thing) is why do we need these? What is it about facebook and Twitter that sends Christians to start their own exclusive social networking site? I could possibly see the case for GodTube since YouTube can sometimes contain some nasty surprises. But at least call it something other than GodTube. But with FaceBook and Twitter you choose your friends, which also means you can control the content. It seems that Christians spend more time running away from the "world" rather than engaging it. What do you think? What is the attraction of some of these sites for Christians? 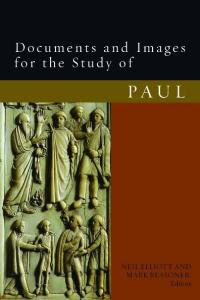 He is the winner of this week's book giveaway: Documents and Images for the Study of Paul co-edited by Neil Elliot and Mark Reasoner (Fortress, 2011). Brent, send me an email (jbyron@ashland.edu) with your address and I will send you the book this week. For those of you who did not win this time, keep checking back. There will be many more Friday book giveaways in the weeks ahead.